You don’t know big and diverse till you’ve tried to drive across America. Ohio, merely our 34th-largest state, could swallow Ireland and still have room for dessert. 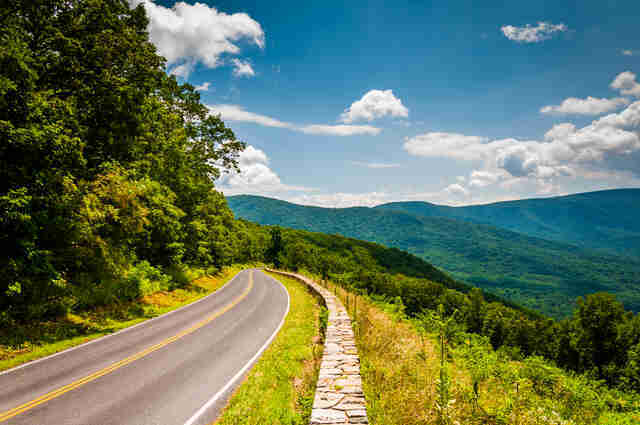 Georgia alone has five distinct regions Tetrised between the Blue Ridge Mountains and the Atlantic Ocean, and it only takes six hours to drive from top to bottom. Texas, that whole other country, is almost 12 hours wide if you’re zipping from Texarkana to El Paso. Which, as an American who appreciates weird and wonderful places, you totally should one day. There is a beauty in changing things, which makes long road trips through molding vistas so enchanting (just ask the people who drive for a living). 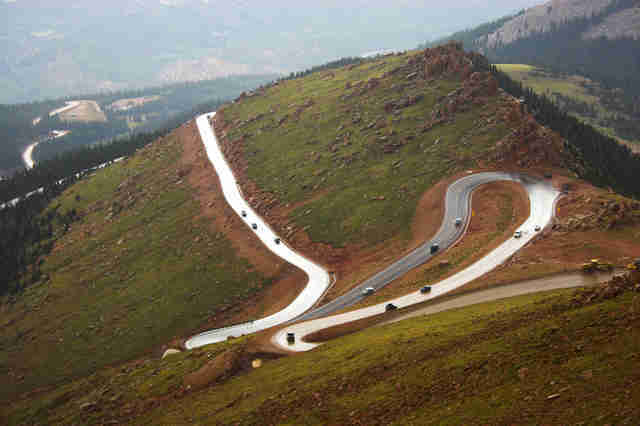 Hairpin curves on Colorado's Pike's Peak highway are brushstrokes of asphalt against mountain slopes and pine tree needle beds. 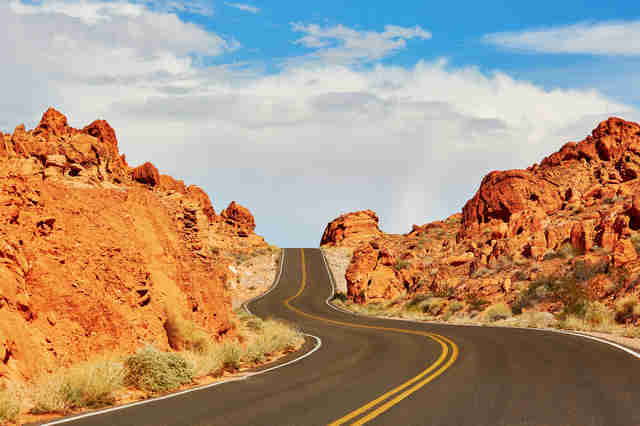 Nevada’s Valley of the Fire is a red sedimentary world of special effects. Keep driving west and you’ll extend the day with a sunset bleeding through the sequoias of Muir Woods or staining the surf orange on Venice Beach. You don’t even need to park to admire the Pacific Coast in Oregon -- someone has already blazed that trail for you. Just get out and enjoy that ride, and the other most scenic drives out there in every one of these sprawling, beautiful states of yours. 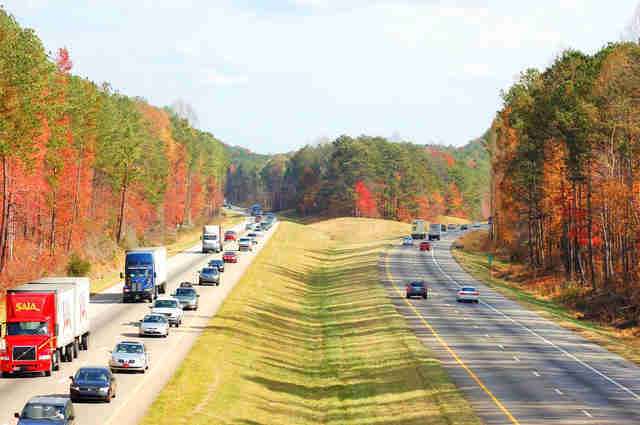 US 78 takes you through Alabama’s portion of the Appalachian Mountains, then transitions into the Talladega National Forest, all on a two-lane strip of tarmac that ebbs and flows with the terrain. 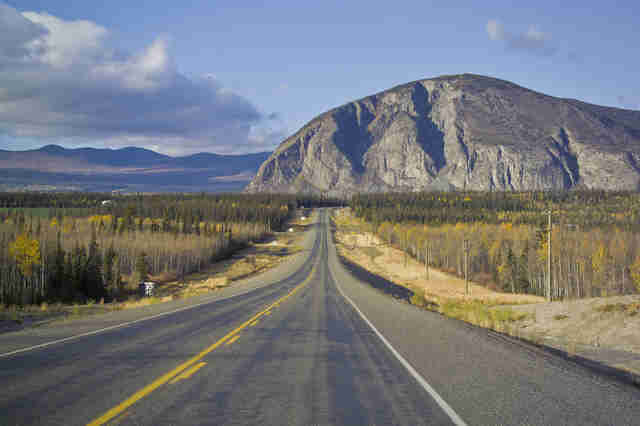 It’s not the road or even the legendary Alaskan backdrop that puts Haines Highway at the top, because natural beauty is one thing Alaska has in abundance. 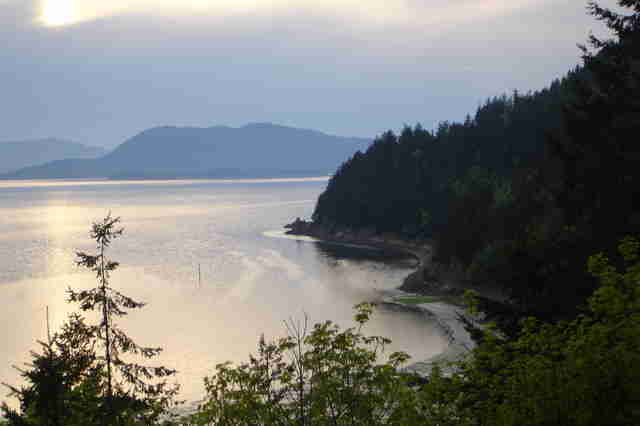 Instead, the wildlife-watching opportunities along Haines are the differentiator. Also called Valley of the Eagles, it’s home to the largest gathering of bald eagles in the world. Of course, you can never go wrong with Route 66, and Arizona is home to some of Route 66’s most iconic spots. Just outside of Sedona, however, is the Red Rock Scenic Byway, which boasts everything from breathtakingly beautiful rock formations to old Native American cliff dwellings. 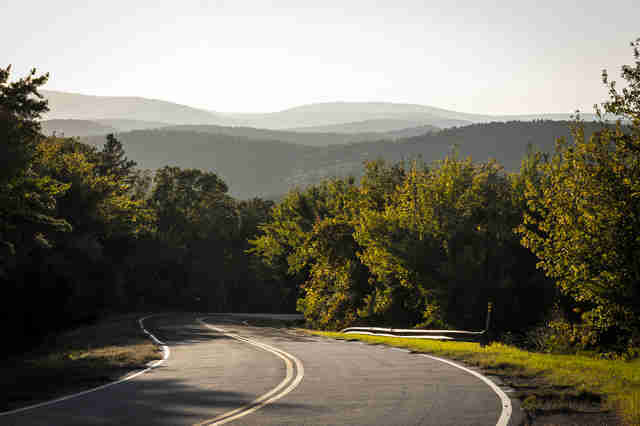 The Talimena Scenic Drive is only about 54 miles on its own, but almost the entirety of that 50-mile stretch has brilliantly colored vistas and winding roads that are so fun people drive hundreds of miles just to enjoy them. 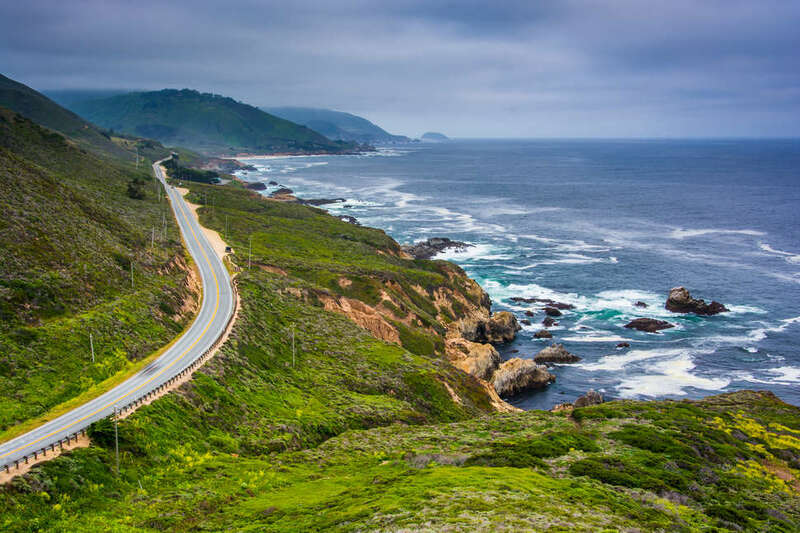 The PCH is both one of the most famous and one the most picturesque roads in America, and with a seemingly endless array of corners, it’s almost a shame if you’re driving it with a destination in mind instead of just soaking in the journey. 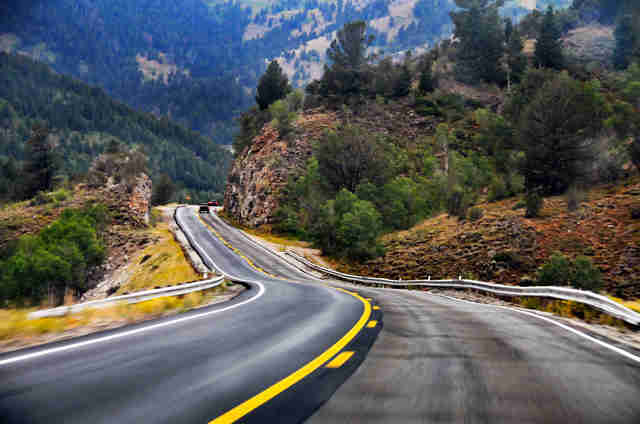 Colorado’s not exactly lacking for scenic drives, but the twisty stretch of tarmac on Pikes Peak is among the most storied in the entire US. Climbing up towards the clouds should be on anyone’s bucket list. Mile after mile of road goes by with not much more than a few feet separating you from densely wooded hills, and every so often, you’ll pass through a quaint little town that looks exactly how a quaint little New England town should. 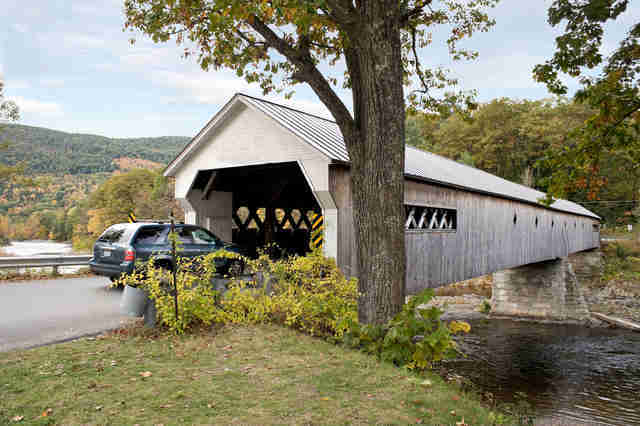 Delaware’s not exactly a large state, but there’s enormous wealth along this 12.3-mile stretch of Highway 52: plenty of beautiful hills, classic bridges, museums, and more exorbitantly nice estates than any one road should have. 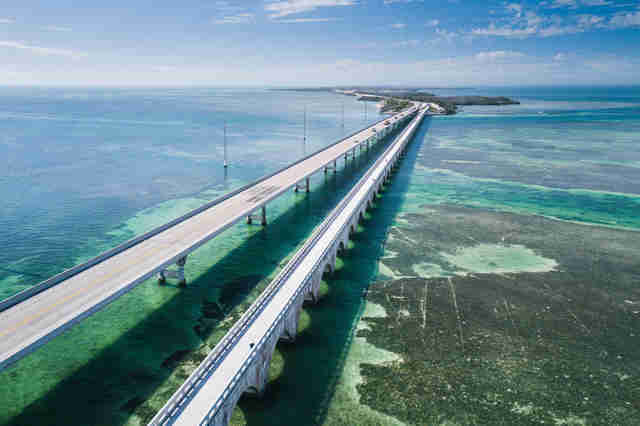 The open blue sea stretching out on all sides might get a little repetitive when you're looking out the window, but it's easy to appreciate the novelty of driving one of the longest bridges in the world. 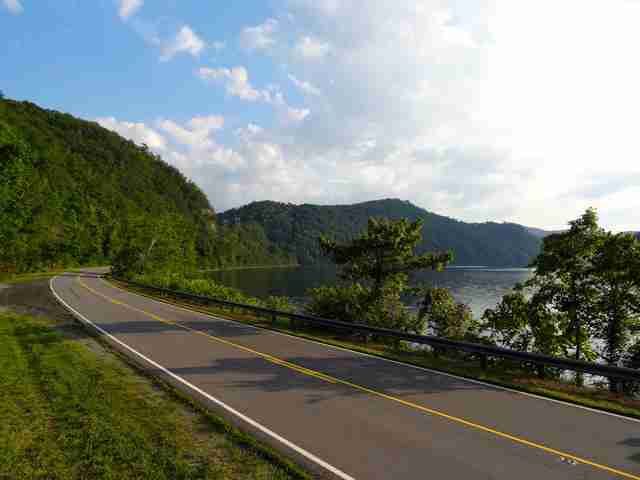 Head into the Chattahoochee-Oconee National Forest and you’ll be rewarded with some pretty killer turns. 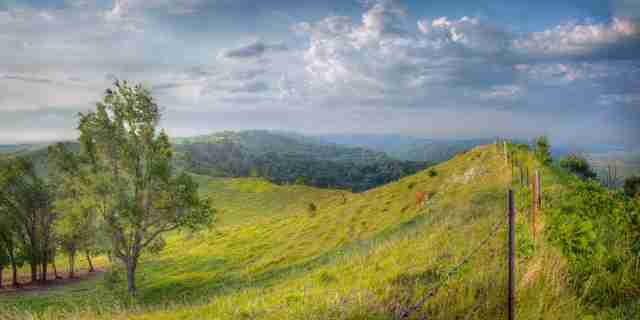 Get out of your car, though, and you’ll see gorgeous scenery like this. Let’s be realistic here. Hawaii isn’t exactly lacking when it comes to scenery. 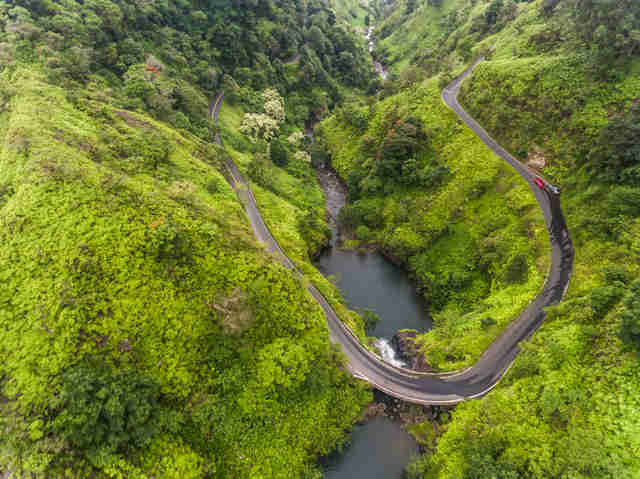 Still, the Hana Highway is a 52-mile stretch of winding asphalt that’s so tight, you’ll be doing good just to average over 30 mph. And that’s if you somehow manage to resist stopping to take pictures along the way. This is a good road if you like watching giant birds of prey. 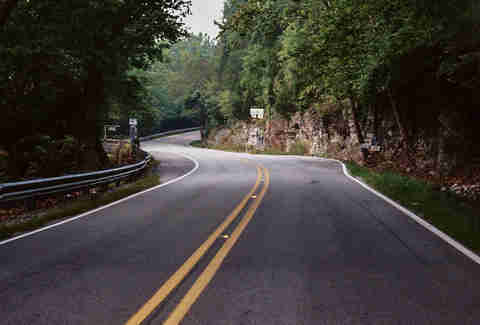 Or if you like tightly winding roads. Or steep gorges. Basically, it’s a good enough reason to go to Idaho. Grandview is a relatively short stretch of road, but along it are some of the nicest homes in the state and outstanding views of the Illinois River. 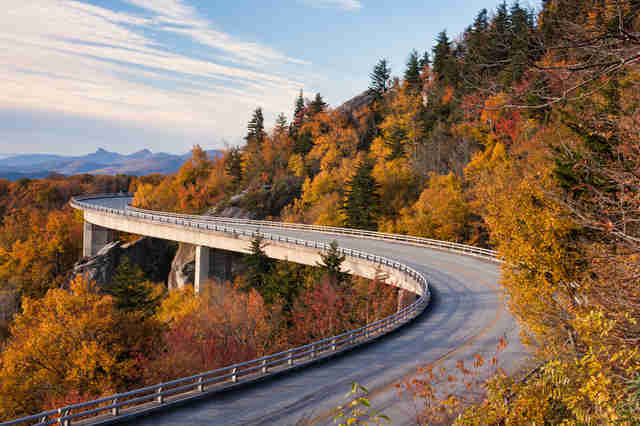 In 1910 Theodore Roosevelt proclaimed it “the world’s most beautiful drive,” so it has that going for it too. 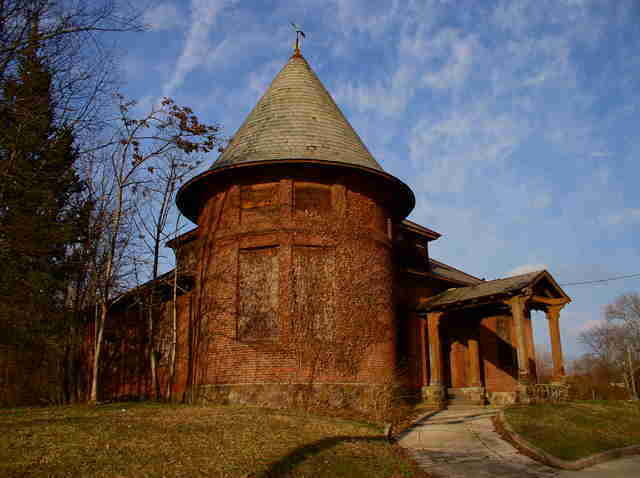 The Ohio River Scenic Byway is 303 miles of history, nature, and grapes. 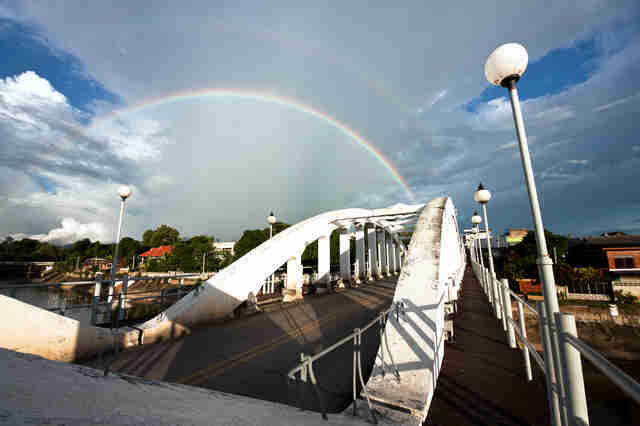 On this route you pass through historic towns like Madison and enjoy antique and artist-laden streets. You can also check out the limestone gorges at Clifty Falls State Park, or pop by the winery and wait the appropriate time to start driving again. Iowa has a bunch of formations called loesses, which are basically hills formed from silt. That means you see some pretty interesting topography as you go across the state. 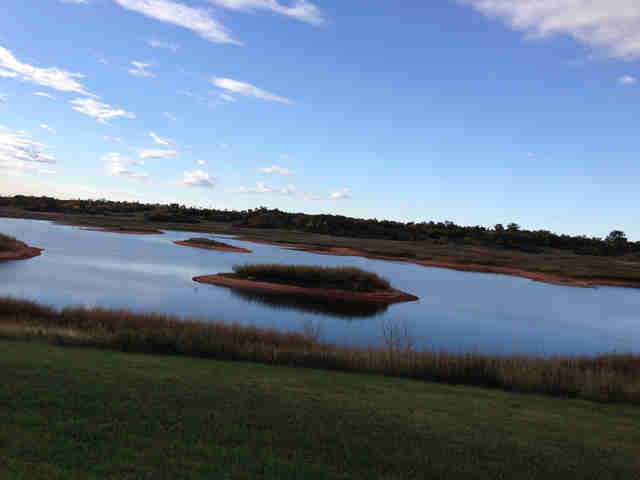 Plus it’s full of varied flora, resulting in some truly spectacular fall scenery that’s formally qualified as a National Natural Landmark. The Mother Road only cuts across a tiny corner of Kansas, but that’s enough. Between Galena and Baxter Springs, you can find a good chunk of the classic Route 66 Americana vibe that so heavily influenced the movie Cars. Naturally, they want you to never forget that fact. What you’re looking at is called the Nada Tunnel, and while its name is taken from a long-gone nearby logging town, it’s also an apt description of the amount of space this one-lane tunnel has. It serves as the entrance to the Red River Gorge, which is on multiple government registers due to its beauty. Route 90 begins its Louisiana stretch at the border of Texas, crossing over Sabine River into the southern tip of the state. It stays low for its 297.6 miles inside the border, passing through historic towns like Lake Charles, Morgan City, and New Orleans. 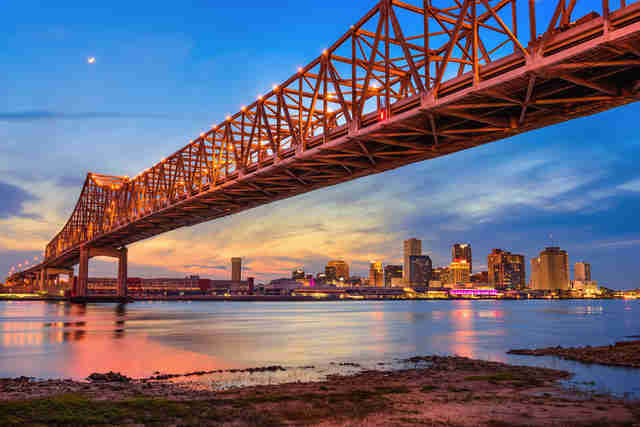 Along the way, travelers can get a taste of Louisiana’s marshy lands, long prairies, and delicious Creole dishes. 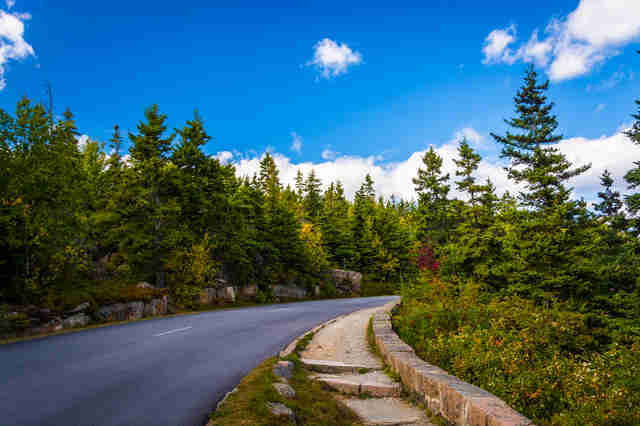 Acadia National Park is a beautiful place on its own, but toss in a smooth band of asphalt, and you have the most stereotypically gorgeous fall drive imaginable. 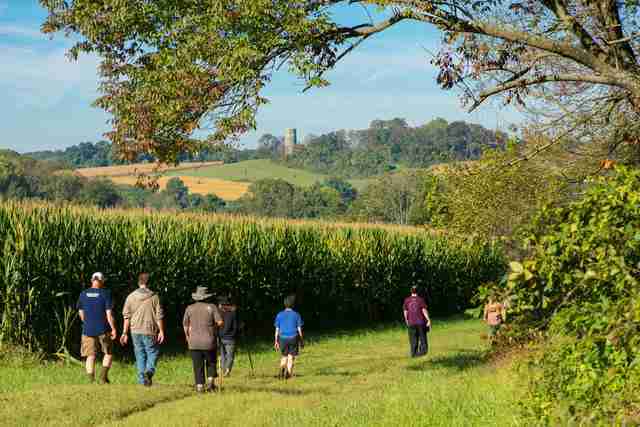 The Chesapeake Country Scenic Byway is a cultural tour that runs through some of the nation’s most historic sites, from 18th-century courthouses and tea party locations, to former plantations. 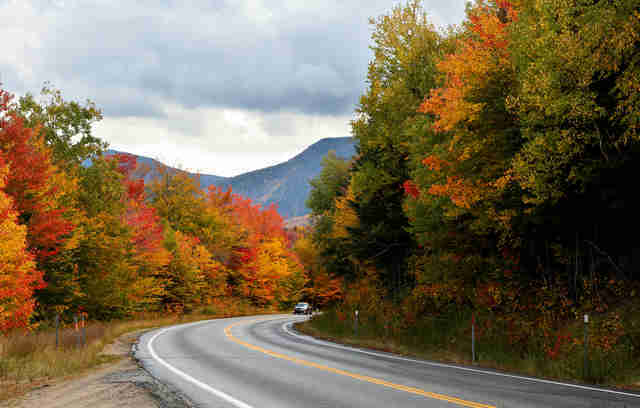 Despite conjuring images of a bunch of 1980s punks on motorcycles, the Mohawk Trail has been recognized for over a century as one of the most scenic roads in the entire Northeast. Don’t let a mere century fool you though, it was used for hundreds of years before that by Native Americans and early settlers. 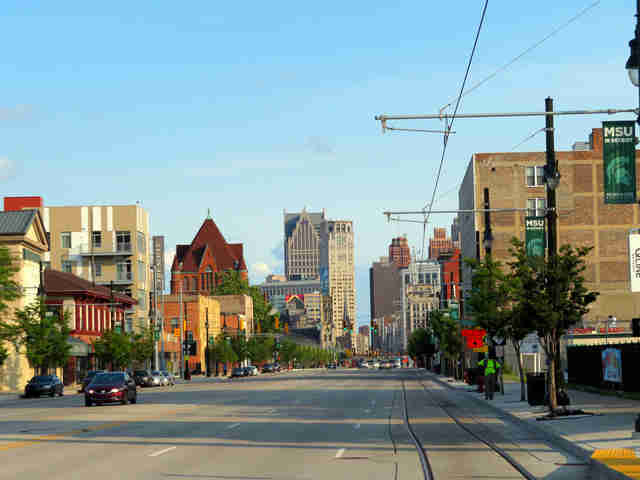 Detroit’s Woodward Avenue is more than just an important stretch of road in America’s cultural and economic history. Every year, over 40,000 of the world’s greatest cars descend on Woodward to take part in a 16-mile cruise to celebrate the automobile and raise money for charity. And over 1 million people show up just to watch that scenery in motion. 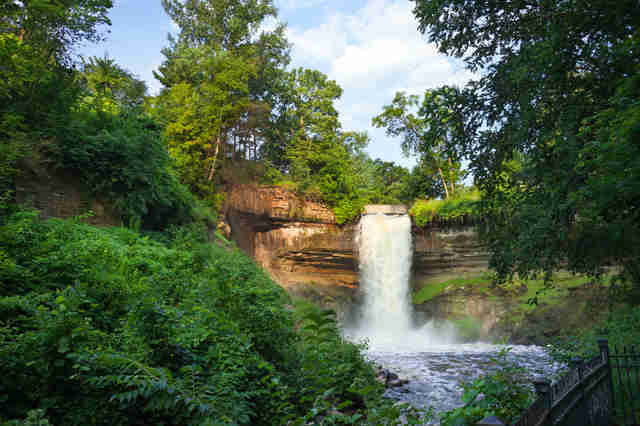 Beautiful hills and stunning cliffs overlooking the Mississippi River are only part of the allure here. The road actually follows the contours of the river pretty closely, so you’re never too far from the edge. 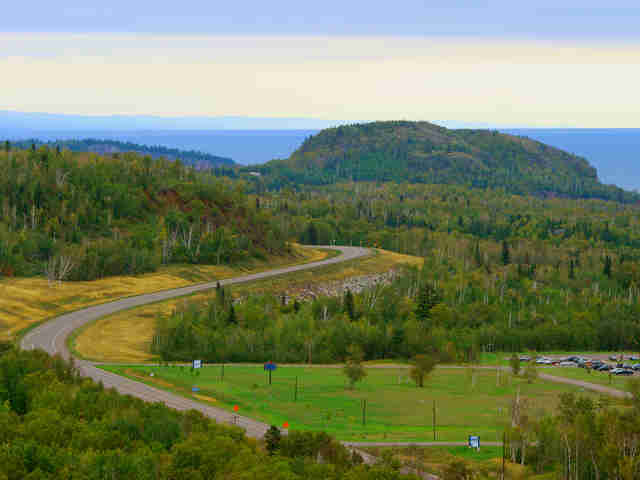 You might never want to stop, but unless you have your passport, you’ll have no choice after about two hours, when you hit the Canadian border. 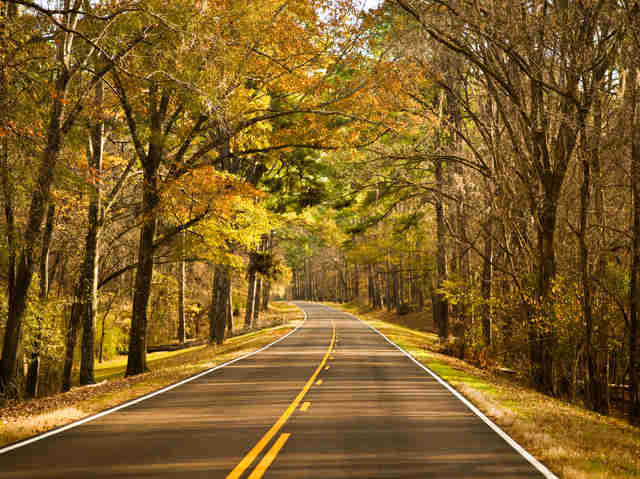 The Natchez Trace Parkway was once part of a vital supply route spanning Alabama, Mississippi, and Tennessee. Back then, though, the 444-mile route was walked by boatmen, who were responsible for floating goods down the Ohio and Mississippi Rivers, then getting home somehow. 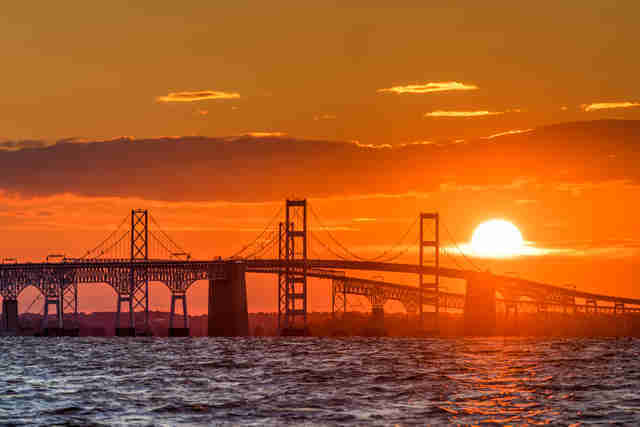 Highway 19 extends from Thayer to New London and, along the way, you get a taste of American history and the land we created it on. 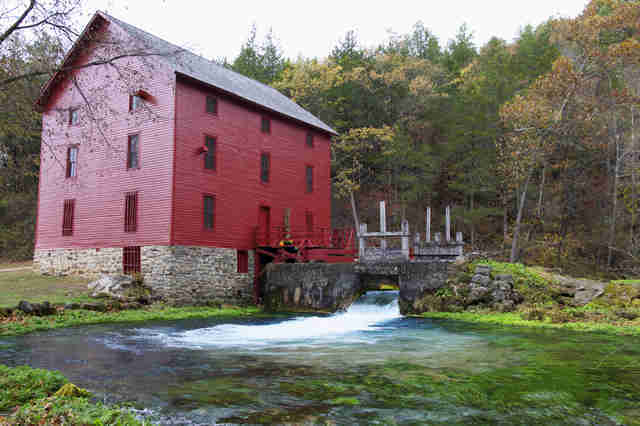 Hermann is a gorgeous village to cruise past and, further down road, you can catch views of the Ozark National Scenic Riverways. 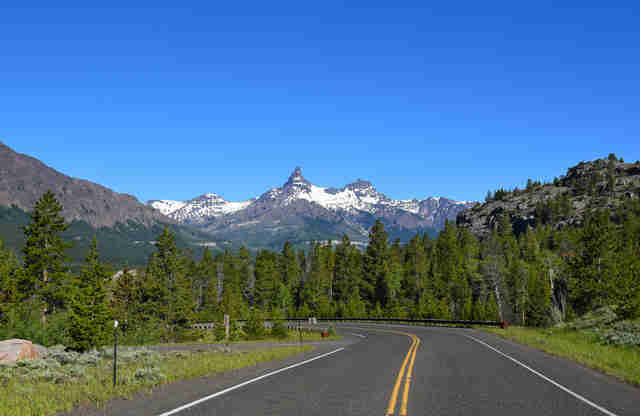 If you’ve ever been to Yellowstone, there’s a fair chance you were on the Beartooth Highway, since it’s one of the few ways into the park. If you’re not the camping type, think of it this way: at over 11,000ft it’s not too far off of Pikes Peak, is just as gorgeous, and is much less trafficked. 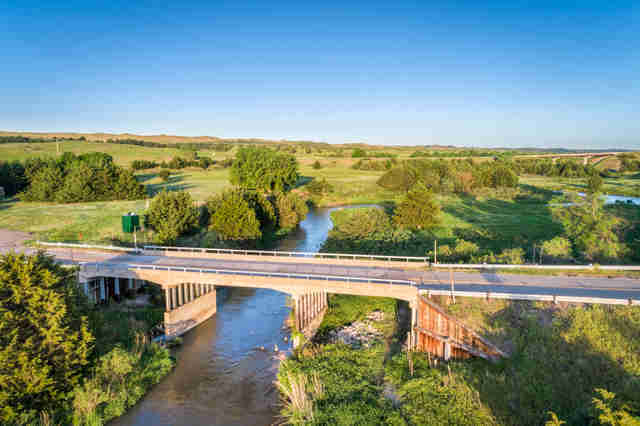 US Route 83 runs 222 miles through Nebraska, carrying travelers through stabilized dunes, river valleys, and architecture by Frank Lloyd Wright. If you’re heading to Vegas, hop off Interstate 15 for a quick trip to Mars. Millions of years ago, shifting sand dunes formed a stunning region of sandstone in the southern tip of Nevada. The drive offers an array of warm colors in stripes, from the prevailing rustic red to orange and cream-colored slickrock. State Route 112 has basically everything you would want in a road. Great overlooking spots, plenty of tall trees, lakes, mountains, even some legit American history sites, thanks to the colonial heritage. 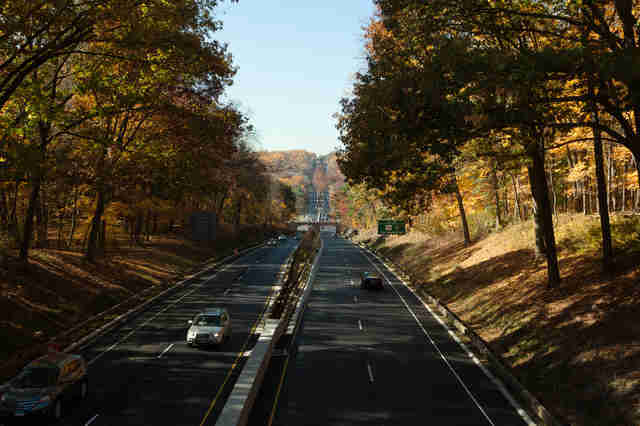 If you really want to debunk your New Jersey stereotypes -- and face it, you’ve got a few -- head down SR 49, because it has a little bit of everything NJ has to offer. Come to think of it, that might not actually debunk any of those stereotypes. This is certainly one of the most storied roads on this list. El Camino Real was first used by Spanish explorers in the late 16th century, but it’s also home to some pretty righteous rock formations. 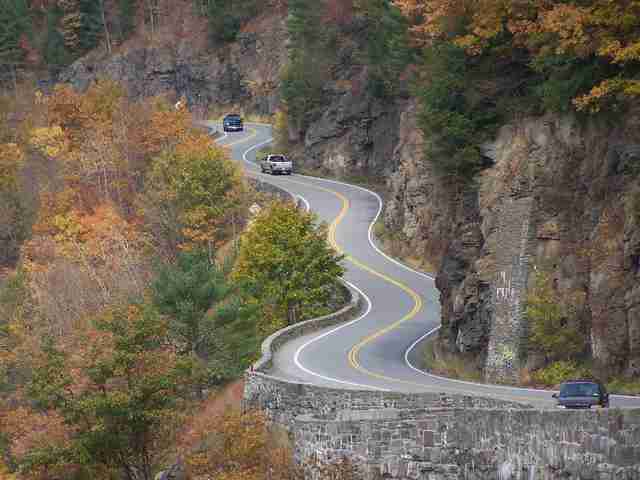 Take Route 97 out of Port Jervis, and your next 90 minutes will be filled with an impossibly beautiful series of bends abutted by sheer rock faces on one side, and a steep drop overlooking the Delaware River on the other. 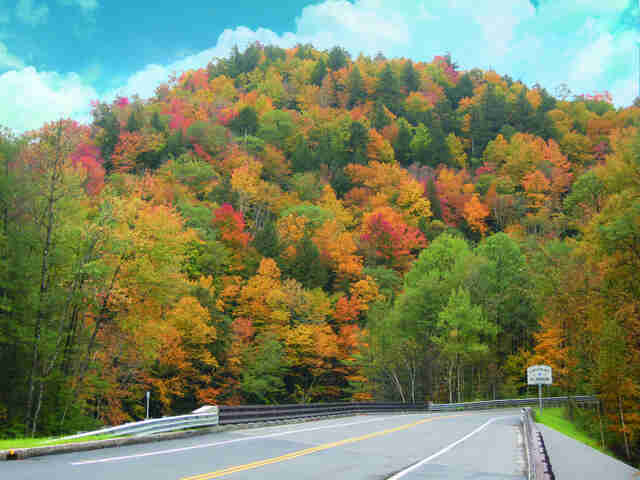 Blue Ridge Parkway is a treasure trove of natural beauty. 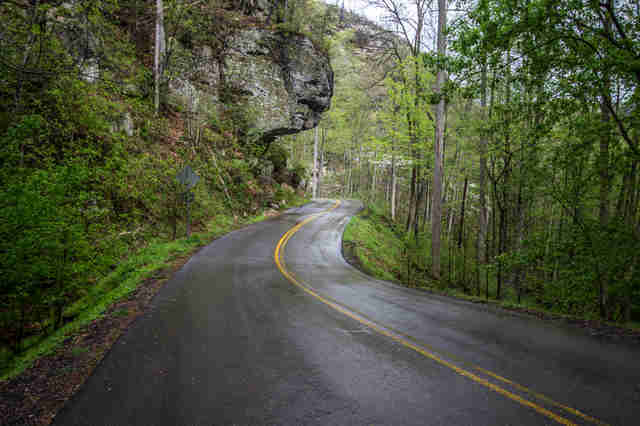 Part of a nearly 470-mile stretch that cuts through the heart of Appalachia, to do it right will take you more than one day. Realistically, this is more historical than scenic. But that history is really, really cool -- the Lewis and Clark exploration set up camp here. And sightseeing the Missouri River’s not too shabby either. 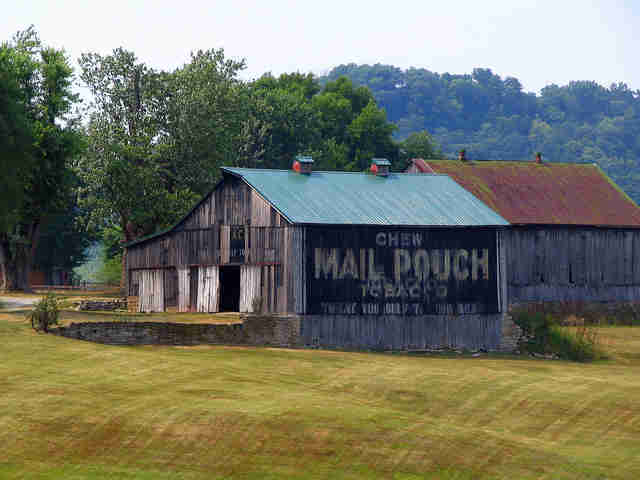 Running next to the Ohio River for most of its path, Highway 52 runs right past some really awesome barns that are 100% Americana... right down to the tobacco advertising. 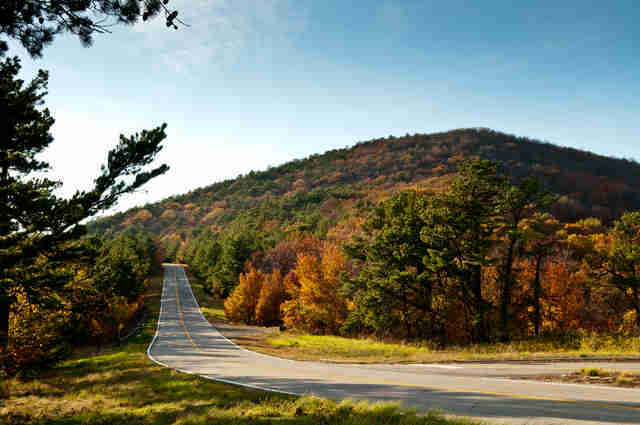 The other half of the scenic drive that starts in Arkansas is just as sweet on the Oklahoma side of the border. As a bonus, there are tons of smaller side drives that are worth a random turn here and there. 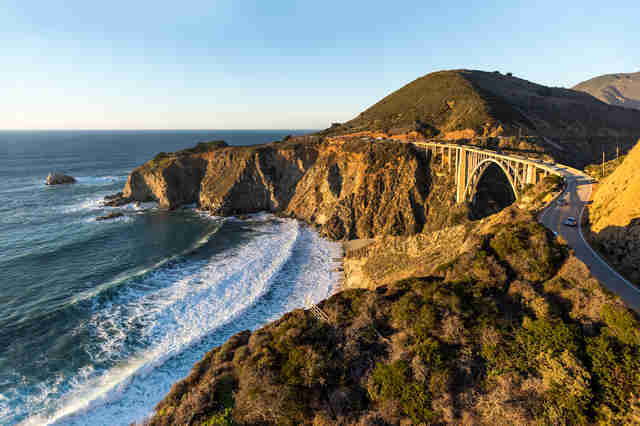 Yes, the 101 is the same coast-adjacent road that’s so gorgeous in California. 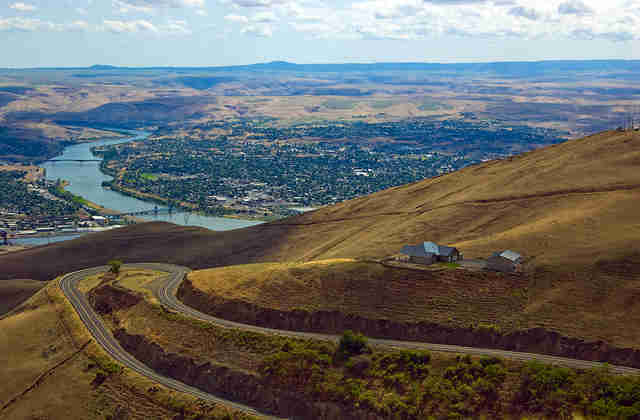 And yes, Oregon has a few zillion beautiful roads, not the least of which is the Historic Columbia River Highway, but the combination of waves on rocks and trees on hills stretching on for miles is that hard to beat. 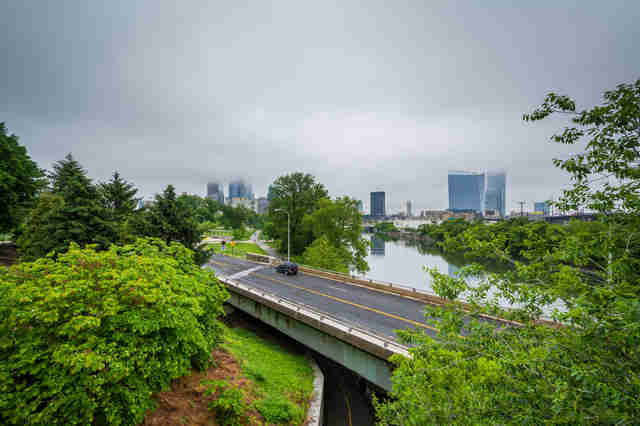 Kelly Drive has all the street cred (heh), but Martin Luther King Drive has better views, especially of the famous 19th-century boathouses along Schuylkill River. 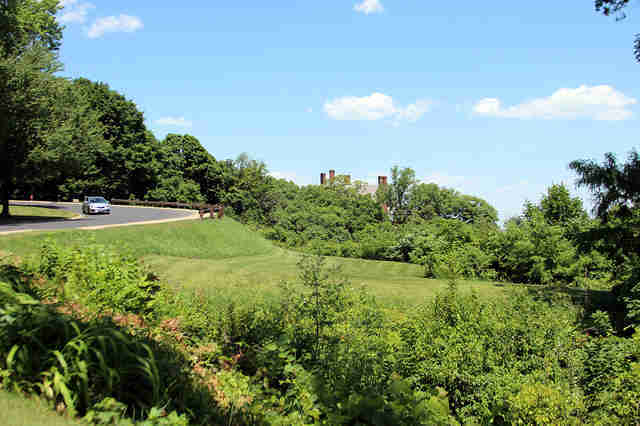 It’s one of the quickest routes to Philly but has tons of spots worth stopping at, including the nearby art museum and the lake’s surrounding park region. Rhode Island might be a pretty tiny state, but a cruise down Ocean Drive certainly makes up for it. Seemingly every house is a masterpiece that’s so well thought out you might forget to look at the ocean behind you. 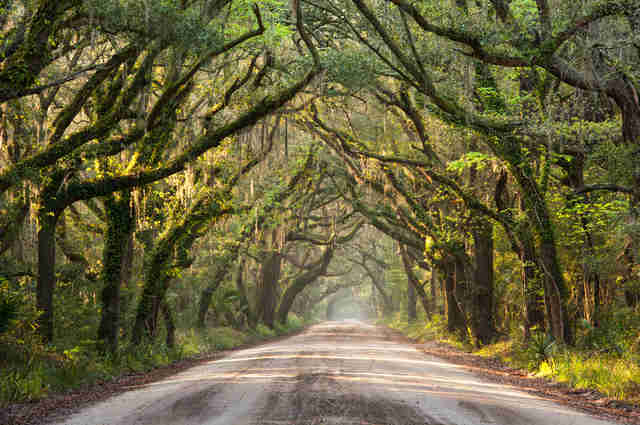 This may only be a 0.4-mile stretch of road serving as an entrance to an old plantation, but A) it’s really, really creepy in a Sleepy Hollow kind of way, and B) it’s located on Edisto Island, which is one of the most beautiful places in all of South Carolina. This is the highway that leads you past Mount Rushmore. 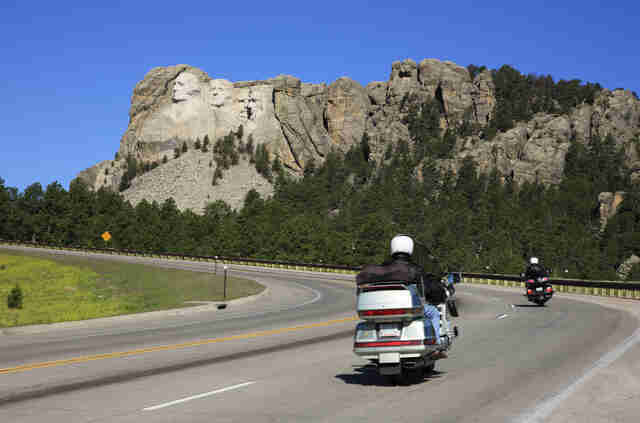 It’s also not very long, so if you take it North, it merges with I-90 and heads right past Sturgis, home of the infamous annual Harley Davidson rally. 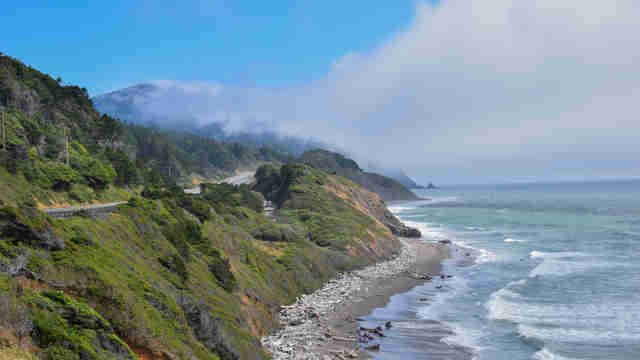 It’s only 11 miles long, and yet this stretch of Highway 129 has 318 curves, more than enough to lure enthusiasts who travel from across the country to try their hand at the beautiful, and sometimes dangerous, road. Loop 360 is perfect for early morning travel; the hilly character of the east side makes for absolutely stunning sunrise vistas, especially over the Pennybacker Bridge. 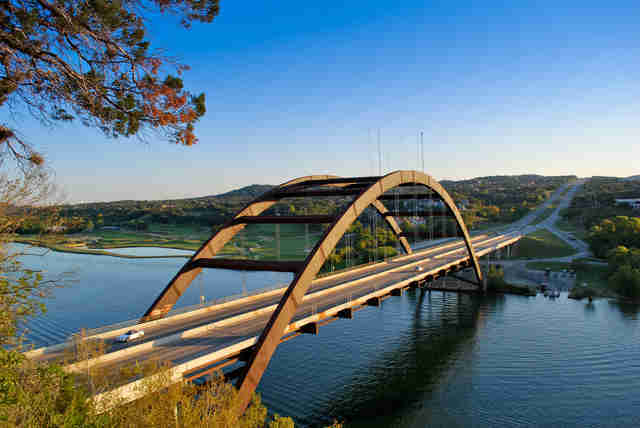 Besides a colorful scene over the Colorado River, you can drive through rocky terrain and the Bull Creek Watershed, or catch a perfect view of Austin’s state capitol building near the entrance to Wild Basin Wilderness Preserve. 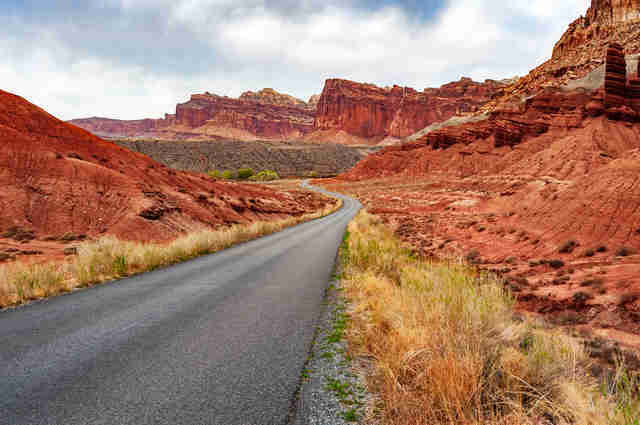 Over the span of 124 miles, US 89 runs through basically every type of terrain Utah has, and Utah isn’t exactly a boring state when it comes to terrain. Do you like bridges? Yes? Good. Then this might be your favorite drive of all time. There’s literally a different bridge every few miles along the twisty path of US 5 and Vermont Highway 142. Not modern bridges, either. Old ones. The kind that have roofs, and that creak when you drive over them. There are 20 to cross, so definitely bring a camera. Really, Skyline is part of the same road as the Blue Ridge Parkway, and you can guess why it’s called Skyline just from looking at this photo. The speed limit here is 45 mph, and Virginia is infamous for its speed-limit enforcement, so this one’s really all about what you can look at as you crawl along. State Route 11 north of Seattle is a tight and twisty trail -- literally. 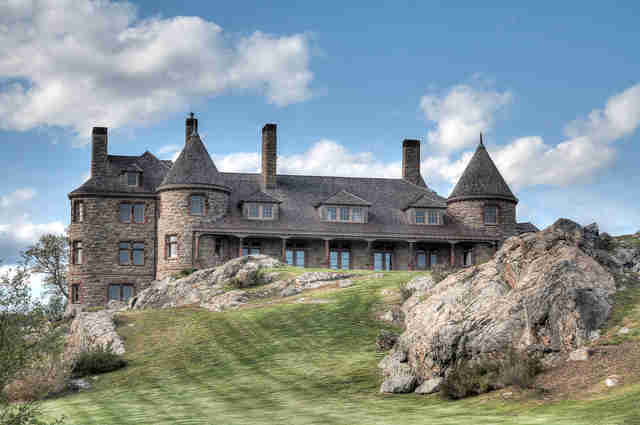 It’s been around since 1895, though obviously the natural beauty of the densely packed forest and steep cliffs has been around for a little bit longer than that. West Virginia’s hilly terrain isn’t just pretty to look at, it had a huge effect on our nation’s prosperity as a coal-mining region. As you go up and down hills, and across gorges on bridges like the awesome New River Gorge Bridge (shown), you’ll also see the remnants of that mining tradition in the form of the ongoing reclamation projects, and closed mines. 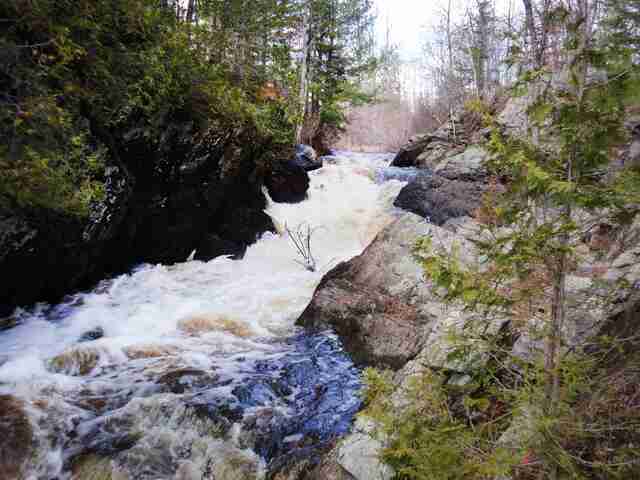 There’s a 125-mile stretch of road in Wisconsin’s Marinette County that includes 14 different waterfalls along the way. Full directions are here, but the best part is most of them are close enough to the parking area that you can walk. 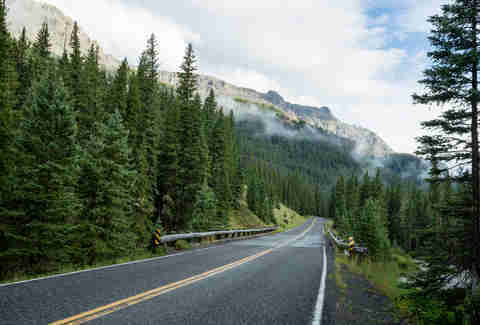 As with Montana, the Beartooth Highway is the best of the best in Wyoming. The drops are steep, and you’re 2 miles in the sky, so you might just want to stop at the various vistas to get your photography done, mkay? Aaron Miller is the Rides editor for Supercompressor, and can be found on Twitter. He suddenly feels a need to go to both Montana and Pennsylvania.